The best directories to have your site listed in are the ones that are the hardest to get in. This might be due to a high submission fee, rigid quality standards or, in the case of DMOZ, having to wait years for someone to get around to reviewing your submission. Guaranteed inclusion is not a good thing, and automatic inclusion is even worse. Your link should be placed on a page that is relevant to the topic of your site, whether this be in a niche directory relating to your topic or to a relevant category of a general directory. Once you have determined which category to submit your site to (based on relevancy), look at the other sites that are listed there. If your site were listed on that page, would it be a good neighborhood or a bad one? Check to be sure that the directory is well organized and well maintained. When it comes to links, quality and relevancy are more important than quantity. I would go about it like this if I had to use those kind of links? 1. Research directories relevant ONLY to your niche/industry. 2. Make a visual inspection. Is the review process manual? What quality do they allow? Keyword heavy links? Find anything that might raise a flag. 2. Run the ones you find through Majestic or Ahref and look at link profile. Discard ANY directories with weird links and patterns (no matter how good PR, DA or anything else). 3. Write solid presentations and keep away for keyword links - use brand. 4. Voila! Feel a bit safer and reap the juice! It is clearly written in Google blog that if you are choosing some good directories (the directories with good page rank, with rich content and the directories that review your blog before listing) then it is really good for your blog. Also selecting the right category is very important. So, keep searching for good directories for link building. Thank, the most important thing is to get the right directory, once you find the good one you're good to go. Thank for this info but I would like you to sharet some good directories that is good in link building. It is true that when it comes to link submission, the quality of the links matters more than the quantity. This means that you should submit your links in relevant directories that manually review the submitted links. No. 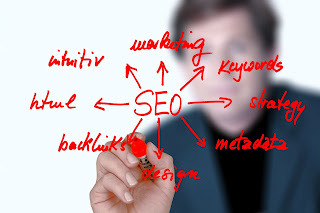 Directories are called as link farming websites that can have negative effect on SEO.